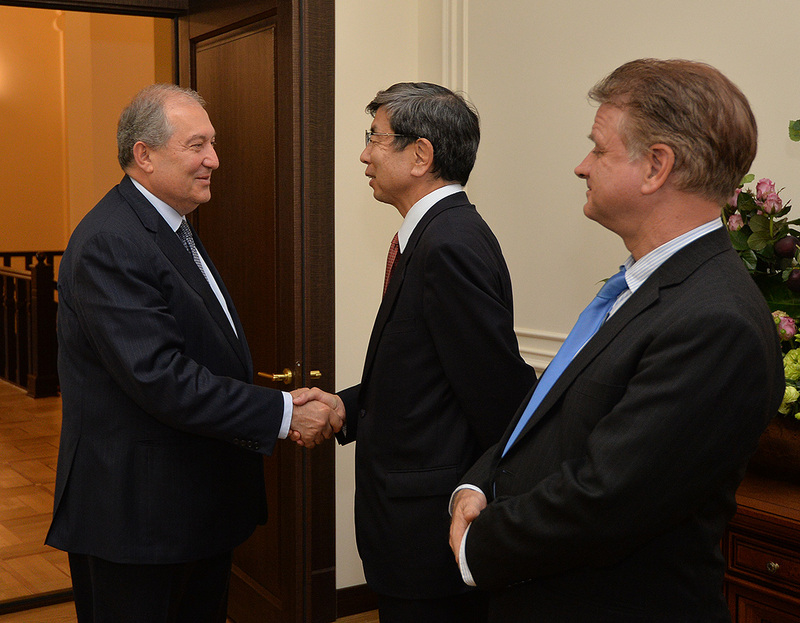 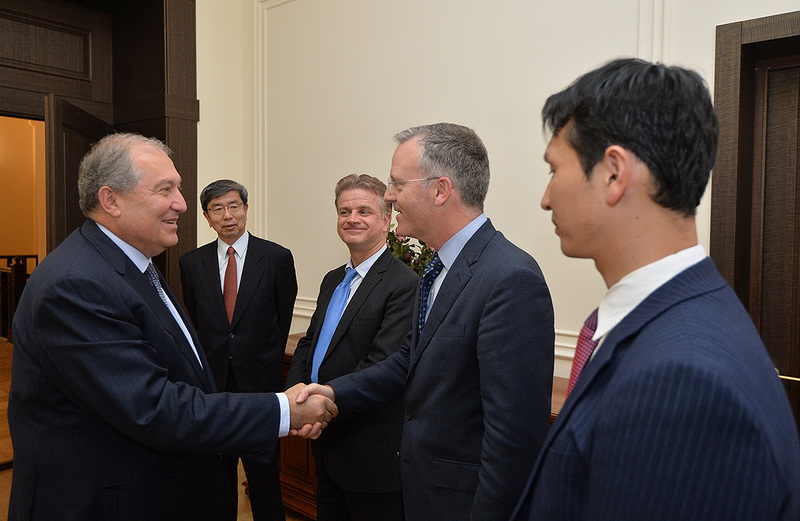 President Armen Sarkissian received today delegation headed by the President of the Asian Development Bank Takehiko Nakao. 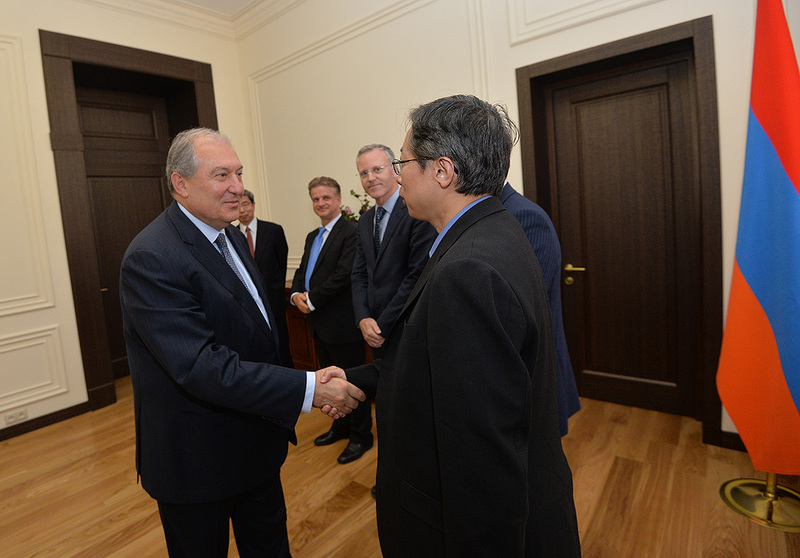 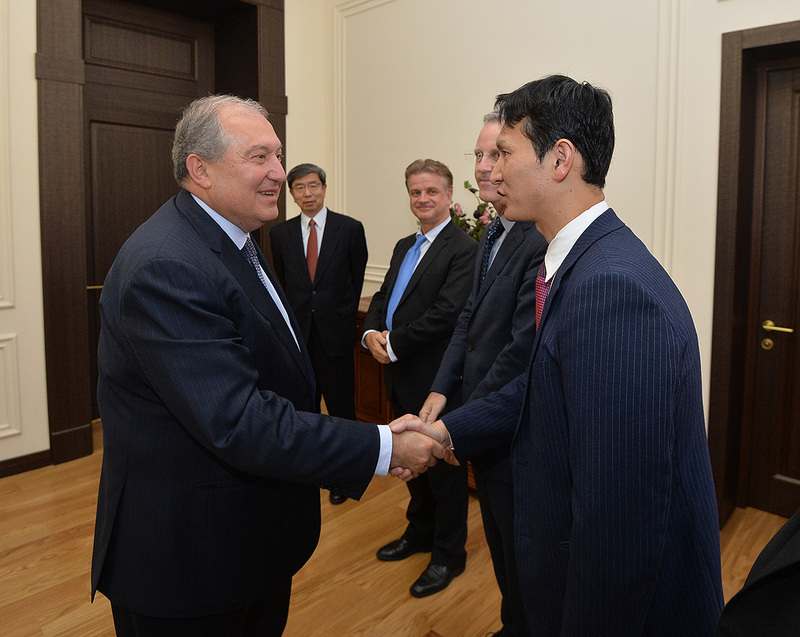 The President welcomed the guests and noted that the Asian Development Bank is one of Armenia’s most important partners and through its assistance multiple programs have been implemented in the public and private sectors of the economy, and there are success stories in different areas. 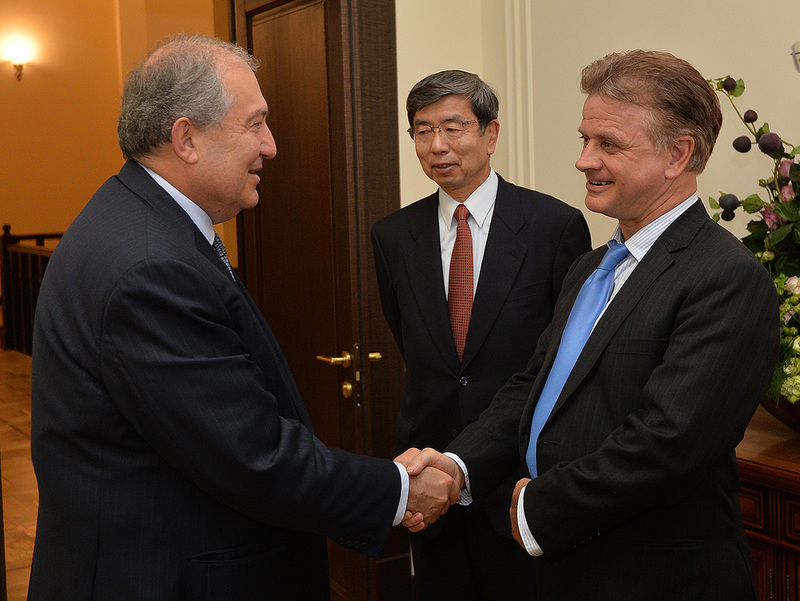 The President encouraged to expand the framework of cooperation, stressing in particular programs aimed at the development of education, information technologies, agriculture, food production, small and medium enterprises. 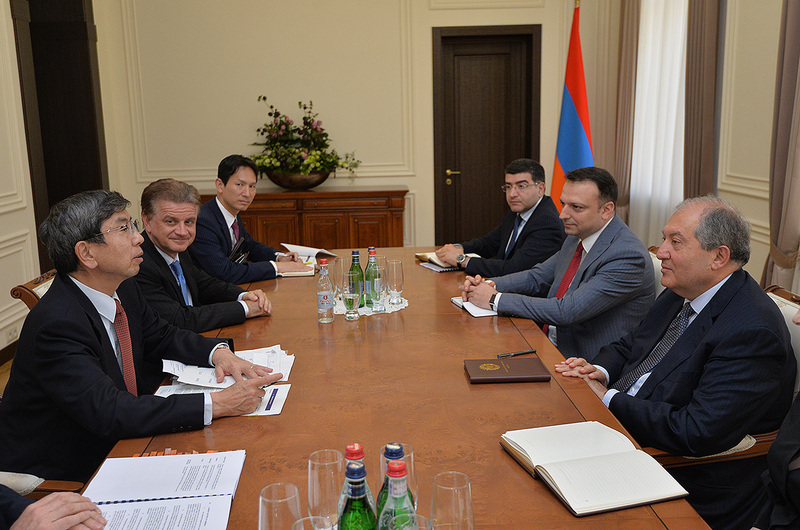 Takehiko Nakao in his turn noted that an efficient cooperation with Armenia has been established in a number of areas and underscored that the ADB is ready to continue the implementation of the programs aimed at Armenia’s development.